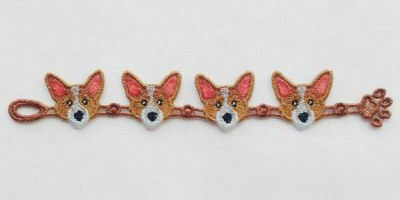 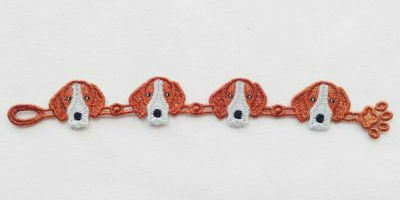 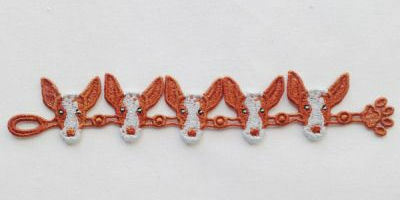 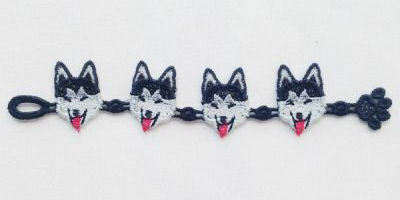 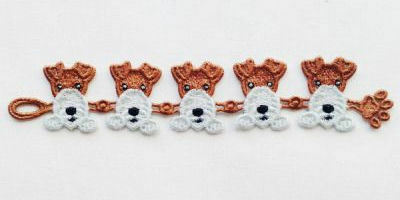 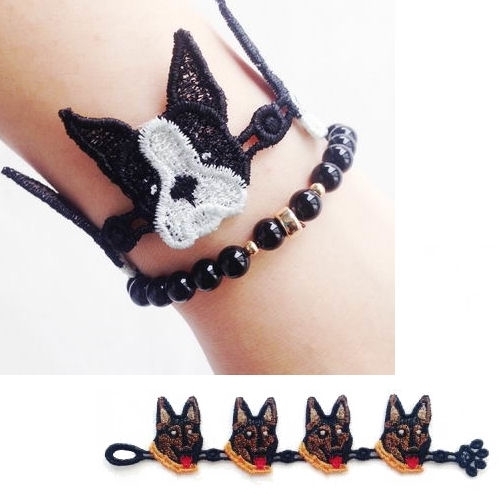 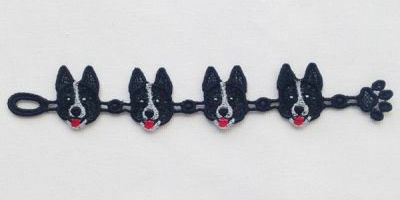 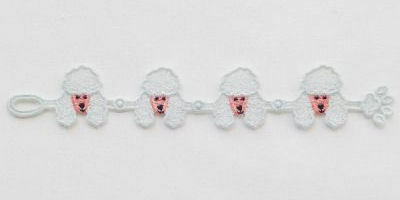 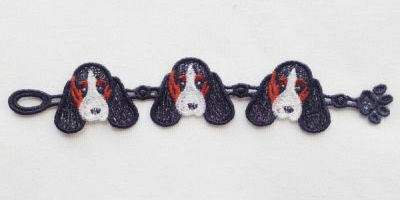 These adorable doggy bracelets are perfect for party favors, fundraisers, and gifts. 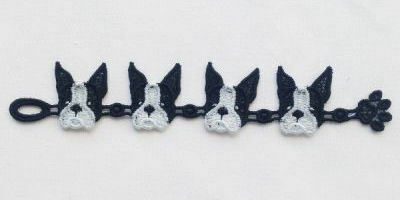 Stitch on water-soluble stabilizer. 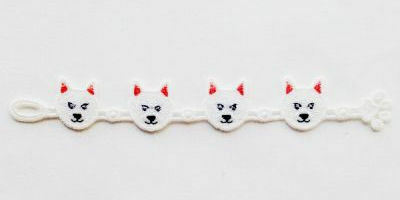 Fits the 6x10 hoop. 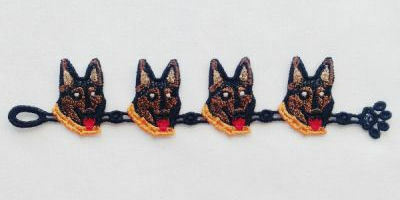 Single designs are available below. 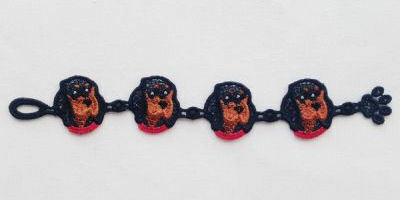 These adorable doggy bracelets are perfect for party favors, fundraisers, and gifts. 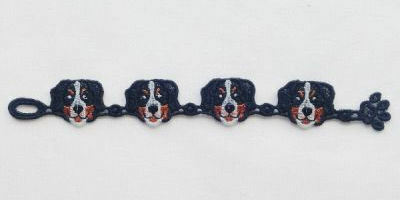 Stitch on water-soluble stabilizer. 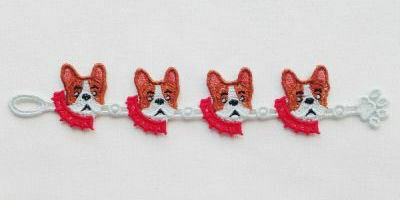 Fits the 6x10 hoop. 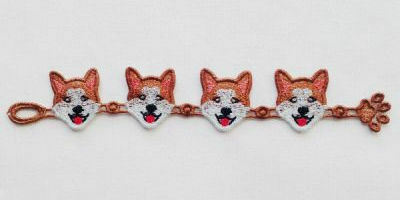 Finish Size: 1 8.17" x 1.13"
Finish Size: 2 7.96" x 1.34"
Finish Size: 3 8.47" x 1.35"
Finish Size: 4 8.42" x 1.18"
Finish Size: 5 7.84" x 1.50"
Finish Size: 6 7.70" x 1.40"
Finish Size: 7 8.24" x 1.55"
Finish Size: 8 8.41" x 1.51"
Finish Size: 9 8.05" x 1.34"
Finish Size: 10 8.50" x 1.19"
Finish Size: 11 8.32" x 1.28"
Finish Size: 12 8.23" x 1.35"
Finish Size: 13 8.11" x 1.50"
Finish Size: 14 8.44" x 1.81"
Finish Size: 15 8.20" x 1.39"